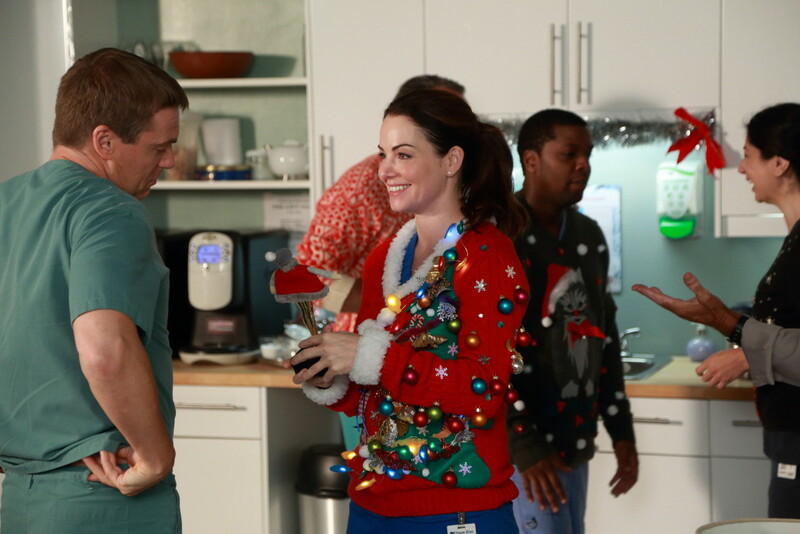 Saving Hope is going to have its first ever Christmas episode and hopefully it will be more yuletide cheer than Bah Humbug! In a special holiday-themed episode of SAVING HOPE, it’s Christmas Eve and even the threat of the worst ice storm of the year can’t quell the spirit at Hope Zion Hospital. But when a good Samaritan is brought in after a car crash, Dr. Alex Reid (Erica Durance) must use all her skills to attempt the Christmas miracle so desperately needed – even if it means calling in Chief Dr. Dawn Bell (Michelle Nolden). When the case proves futile, Dawn and Alex must band together to keep their patient alive long enough for her family to say goodbye. In the Atrium, Dr. Charlie Harris (Michael Shanks) tends to the spirit of a dead child wondering if his mother will brave the storm to honour their Christmas tradition. Meanwhile, Dr. Shahir Hamza (Huse Madhavji) and Dr. Dana Kinney (Wendy Crewson) do all they can to avoid being swept up in the Christmas spirit only to get roped in to the annual toy drive, while Dr. Zach Miller (Benjamin Ayres) spends the evening with Dr. Maggie Lin (Julia Taylor Ross) playing Christmas ER Bingo to pass the time until he can get back to his boys. “Shine a Light” is scheduled to air on December 10, 2015 at 9 pm ET/PT on CTV but I am wondering if this will be pushed back by a week because this is the 12th episode and if it is airing on December 10 then we will be skipping episode 11 “All Down the Line”. So, Maggie does NOT die !! So, so , so happy :)) Thanks for the news!! BTW, loved those UGLY sweaters! !